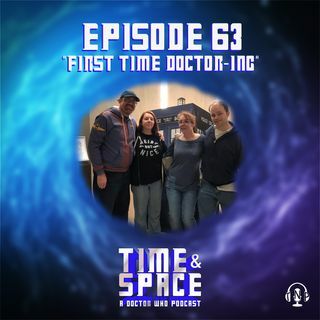 Jessica and Phillip met up with their fellow Nerd Party cohosts Charlynn Schmiedt (and her husband Patrick) in LA at the Gallifrey One fan convention - and talked "Doctor Who," of course! Char is just beginning her journey in the TARDIS with the Thirteenth Doctor - but is now starting to watch nuWho, beginning with the Ninth Doctor. What questions does she have? What spoilers will be avoided? Enjoy this talk with a brand new Whovian. In their ... See More look into the TARDIS library, the couple review the two Gallifrey One featured comic books from Titan Comics - "Doctor Who: The Many Live of Doctor Who" and Issue #1 of the Thirteenth Doctor's comic. What is your favorite Doctor Who comic?